Most home locks are built to last. At least that is the case when you buy brands. They promise to keep functioning through the years without stiffening, breaking or losing functionality for very long periods of time. Like most devices however, the length of time a lock lasts is often determined by the way it is used and maintained. Locks that received more punishment are sure to degrade faster, and those that are never serviced in any way are likely to require professional lock repair sooner. Here we outline 3 of the most common lock repairs needed around the home and the measures that will help prevent their development. Security door locks are increasingly widespread due to the rise in popularity of this type of door and window design. These locks can be somewhat complex and when they malfunction will almost certainly require the expertise of a locksmith to fix. The frames can become deformed which puts the lock out of position, the cylinder lock itself can become stiff and hard to turn or the handle of the door can become loose to the point that it no longer controls the seal of the door. The lock chamber can be removed and replaced, the handle rejoined or replaced and the frame aligned to fit perfectly back into place. Many window locks come in two pieces:the part that attached to the window and a separate contraption that screws or cramps on to complete the lock. This can mean there are two small pieces of kit that are easy to lose. The key that joins them and the piece that clamps or screws are both tiny tools that are easily misplaced. 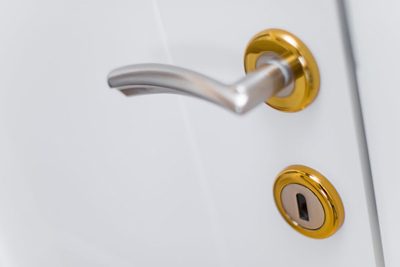 If you are lucky, a professional from your local locksmith company will have a range of parts at hand and they may be able to provide a matching replacement for either part. Otherwise they will have to remove the locks you have and install a new set that are complete. Due to their designs, knob locks are often victims of overly forceful usage. Cheaper models can sometimes lock by themselves if the door is closed hard enough and creates a big impact. These eventualities often lead to them being broken or disabled in some way. It is possible for an expert to remove the chambers and fit new ones or to replace the entire knob lock for an improved version.